Sunday, i.e., e.g., aka The Day Before Dreaded Monday (or more appropriately in my world known as Sunday Funday), is the giver of many wonderful things. Sunday kinda makes all the other days of the week look just a bit shoddy; it’s the show girl day of the week, all frills and fun! Not only do I heart Sundays, but I also love sleep, because it’s like a time machine to breakfast. And I enjoy brunch even more, since it’s basically breakfast for lazy people who can’t get out of bed on time. It should be no surprise, therefore, that I practically live for Sunday Brunch. Please tell me I’m not the only weekend hedonist out there! Since I follow the religion of yoga + brunch on Sundays, I feel it’s my sacred duty to uphold this tradition each and every week. We either go out to bottomless boozy brunch (thank you D.C. for you’re endless list of restaurants who participate in this debauchery) or have friends over. If I’ve said it once, I’ll say it again: I believe hosting should be effortless and focused on making guests feel special, not preparing the food. 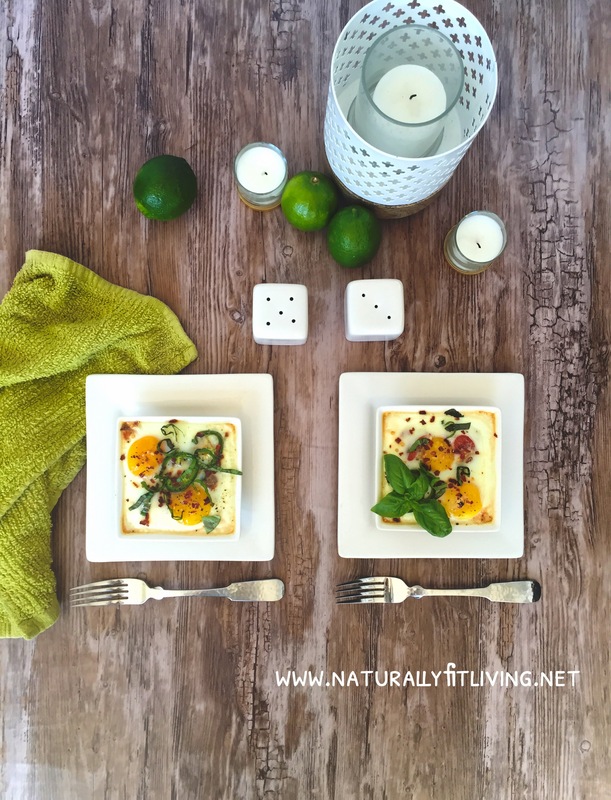 These Southwestern baked eggs in mini dishes are basically everything a brunch loving girl could ask for: prep time that is SO FAST, it’s easy like a Sunday (get it? Get it?! ); you can just throw these little things in the oven while you pour mimosas or sangria for you friends. Or yourself. Since your hosting, you know it’s only proper to top yourself off constantly. That’s what I do, anyway. 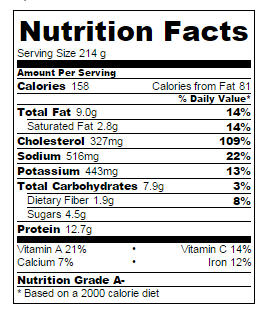 And here’s a free brunch tip: the proper champy:orange juice ratio is exactly 97% to 3%. I’ve compared every percent possible through many hours of laborious research, and I have concluded this is the best ratio. I like my champagne with a dash of vitamin C, thank you very much! Line bottom of dishes with layer of salsa. Add veggies. 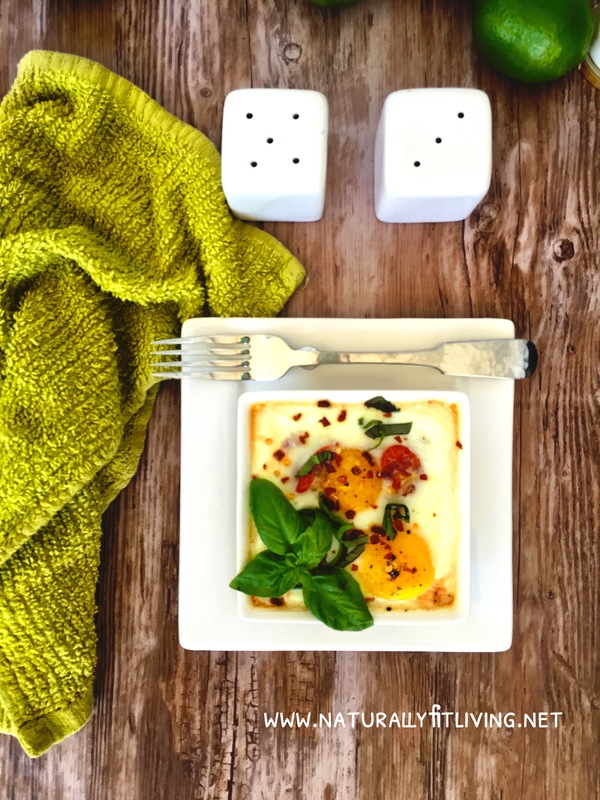 Crack 2 eggs into each dish and sprinkle with red pepper flakes and half of the basil. Save remaining have for after the eggs are finished cooking. 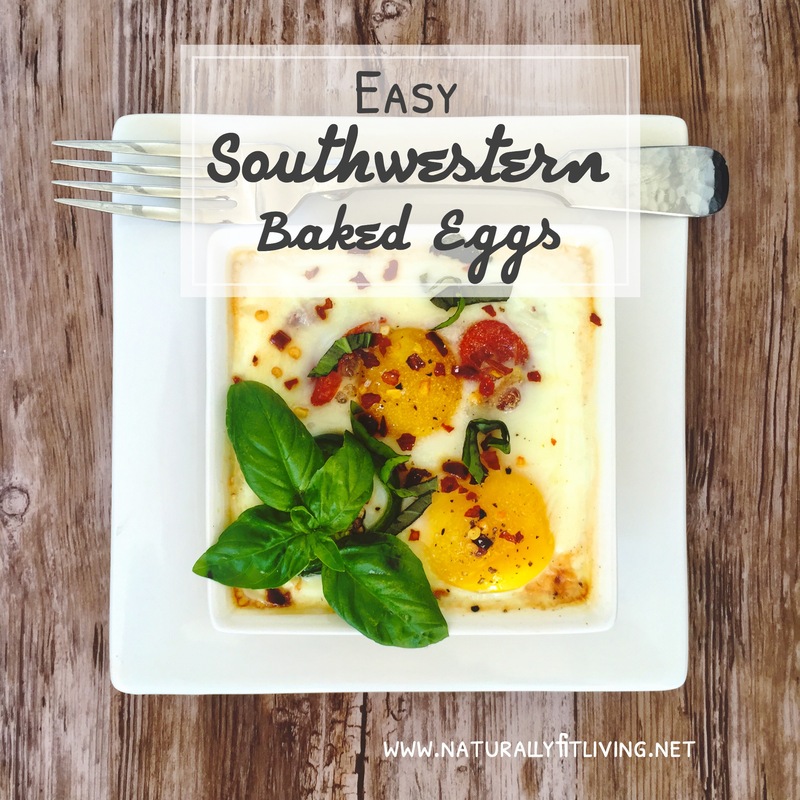 Turn on oven to 375 degrees, and place mini-bowls on cookie sheet, then cook egg dish for about 15-20 minutes, or until egg is cooked to satisfaction. Sip daintily on champy while you chat up your guests. Or guzzle it. I mean, who am I to judge? Remove from oven, and sprinkle remaining basil on top and serve. While I like to use smaller, tapas sized mini bowls, it’s just as easy to throw this together in a casserole dish. My mother comes from the Queen of Casseroles era of housewives everywhere, so I’ve been trained to instantly make a casserole for anyone who is sick, had a baby, just moved in to the neighborhood etc…there is never a wrong time for a casserole. I also believe there’s never a wrong time for breakfast, or eggs for that matter. So that match sounds pretty damn perfect to me! Final results: an easy-peasy crowd pleasing dish that makes brunch go beyond basic without stressing you out. Another added bonus: mimosas and sangria taste quite lovely with this recipe. But do they taste bad with anything? I think not! Get adventurous with your veggies and spices. 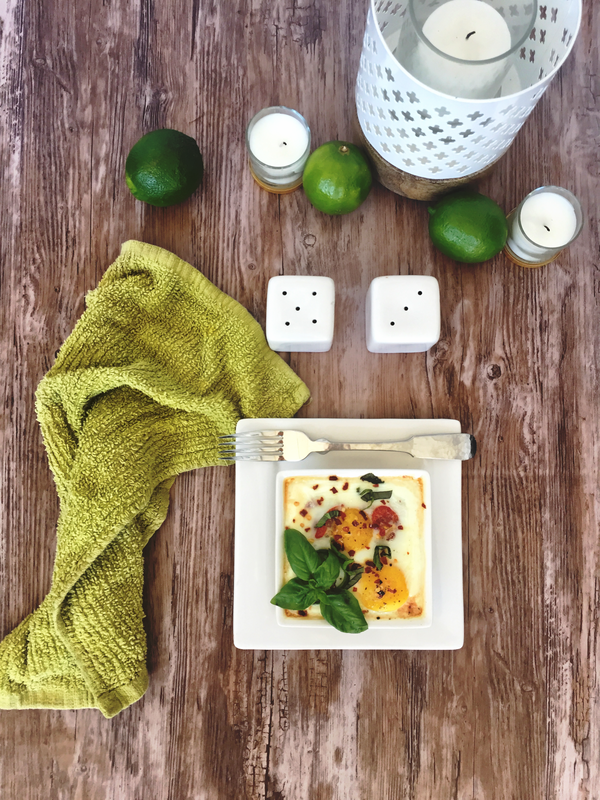 Humble eggs provide more possible combination than a rubix cube, so take advantage of their blank canvas possibilities. What are some of your weekend food routines and rituals? Any fabulous breakfast recipes you’d recommend? Let me know if you get a moment. Shoot me an email or comment below. Much love + lots of spice, and 97% champagne mimosa to each of you! 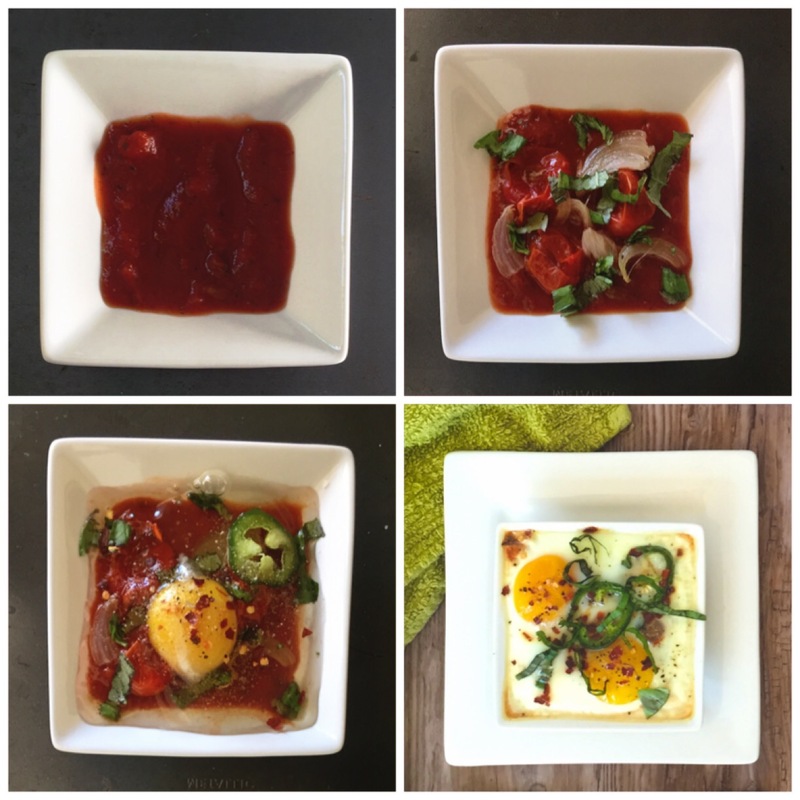 I just love your photos– looks delish! !